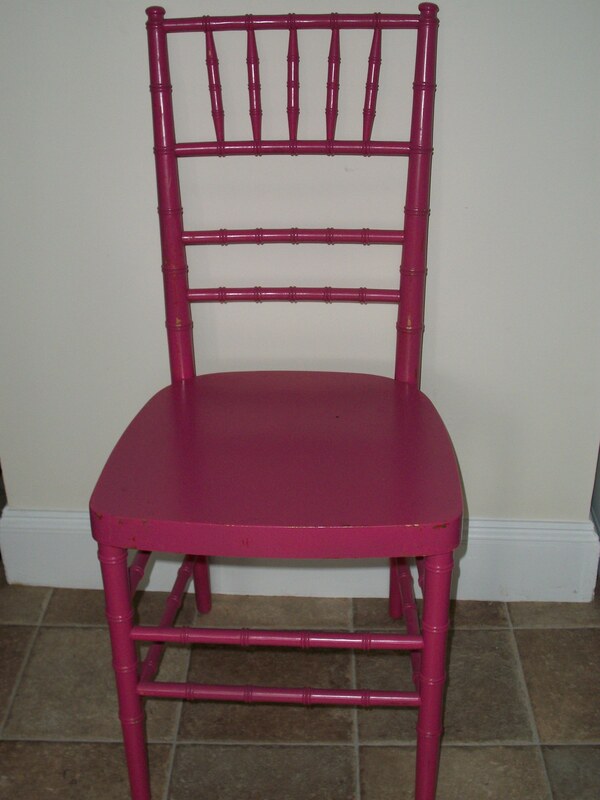 I love chiavari chairs. They are most used at weddings and formal functions and are usually either gold or silver. Though, they seem to be making it into kitchens and dining rooms these days. 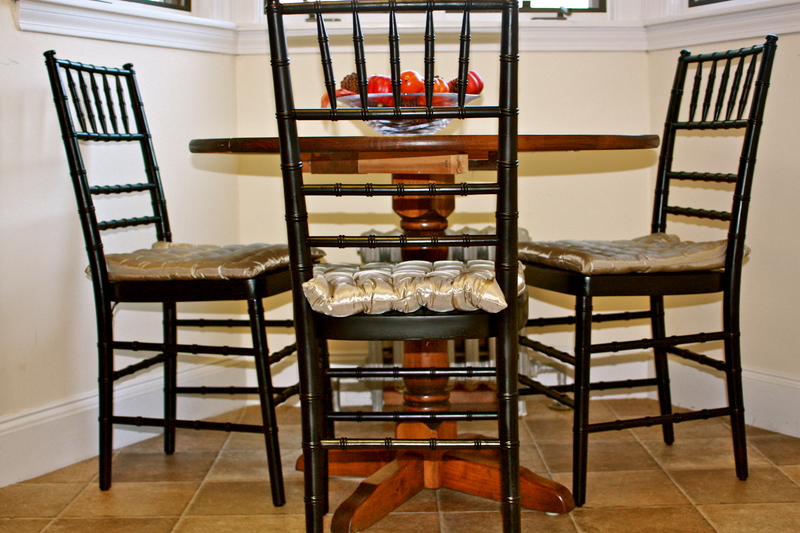 Over the summer Ballard Designs was carrying them for more than $100 per chair. I set out to find some last spring and wasn’t about to pay the hefty price you’ll find online and in catalogs. It just so happened that my friend Courtney was also on the hunt for some. And she found them. In HOT pink. A seller on Craigslist had hundreds of them in hot pink and he was selling them for $20 each. Within eight hours I had emailed the seller, coordinated pickup and was on my way to get them. Insert Al’s facial expression here as we loaded four hot pink chairs into the Hyundai. He wasn’t fond of them and thought they were going to be flimsy. Little did he know they are some of the sturdiest built chairs because they’re made to hold up event, after event, after event and built to hold all sizes of people. I put him to work and in just a days time we had four beautiful satin black kitchen chairs. Al spray painted them using Krylon black satin finish paint. He also primed them with a black spray paint primer that is sold in the spray paint section. 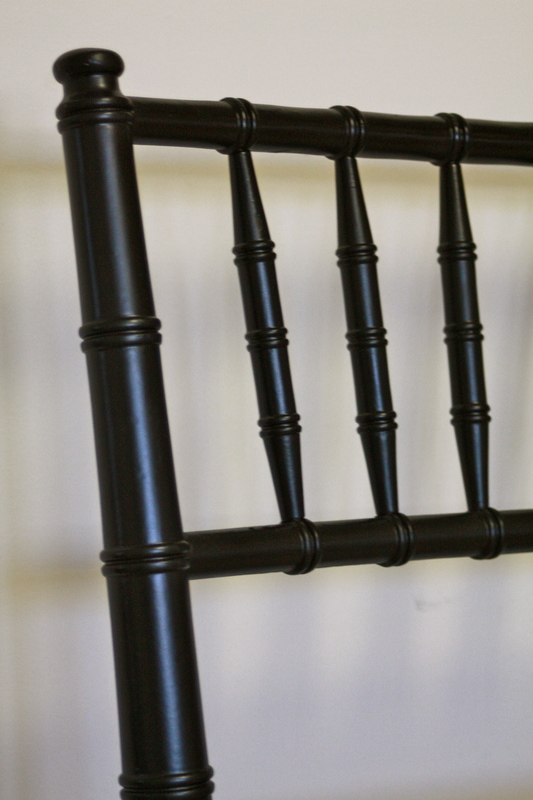 Total cost for four amazing chiavari chairs: $87.98. Sure as heck beats dropping a couple hundred dollars for kitchen chairs! Note: I picked up the chair cushions at an amazing store, Old Time Pottery, while we were in Tennessee. I’m probably the only person who goes on a weekend trip to Nashville and comes home with 4 chair cushions in her suitcase! 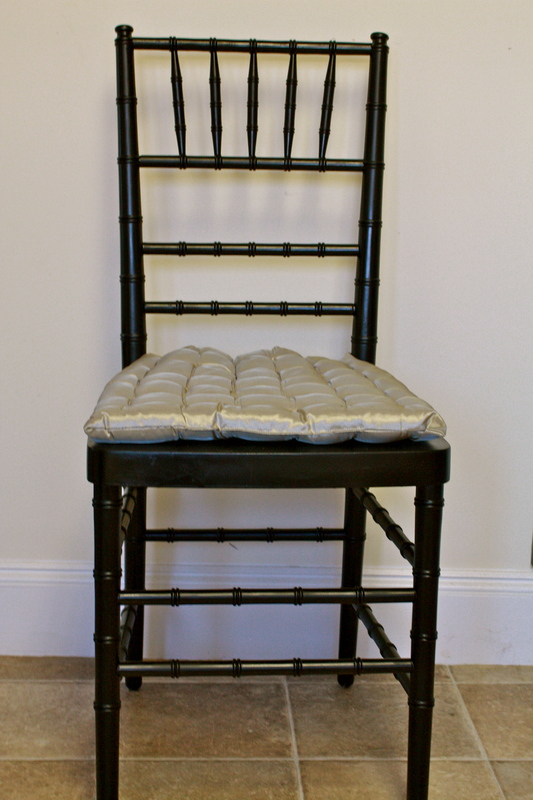 I love this style chair! They look great. I recently redid some chairs, too. Such a good weekend project! I love, love, love these chairs!